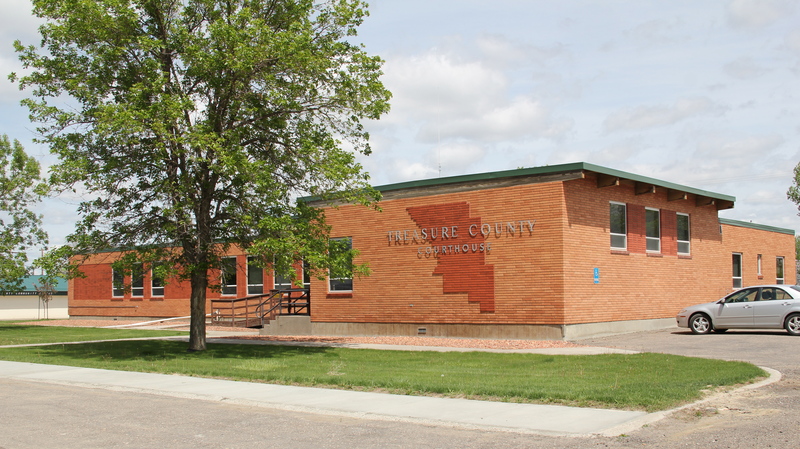 Treasure County dates to 1919, one of the last counties created in the Yellowstone Valley. Among the smallest counties in size, it has just over 700 residents, a drop of over 200 since my visit in 1984. 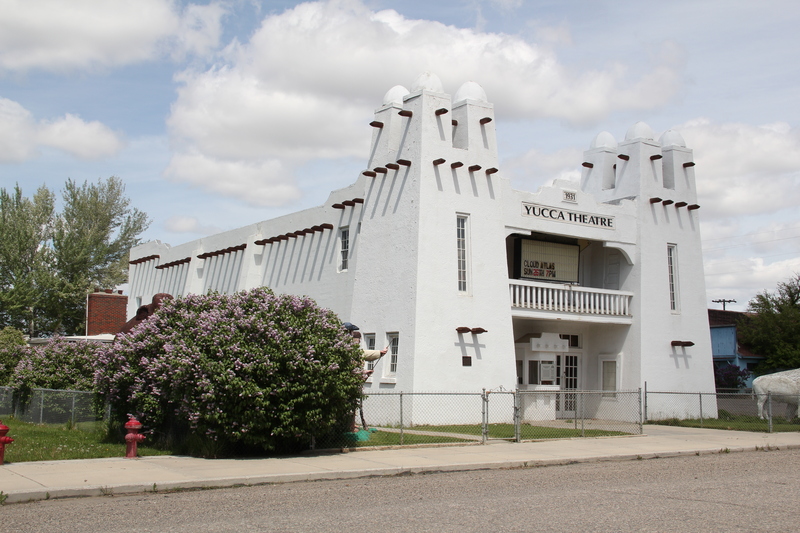 But the county has some of the most evocative buildings in the state, starting with the Yucca Theatre, built in 1931 by brothers David and Jim Manning, who wanted to give their community a spark, a glimmer of hope in the increasing hard times of the depression. David Manning had liked the Spanish Mission style when he had traveled in the Southwest, and he thought, why not for Hysham, since the town was near the spot on the Yellowstone River where Manuel Lisa had established one of the valley’s earliest trading posts. Despite the brothers’ best intentions, the theatre struggled as the town and county dwindled in population, but David was devoted to it and transformed it into his home, a convenient landmark, it would turn out, for his political career. Manning was elected to the Montana legislature in 1932, and he was still serving in the House when I worked at the State Capitol from 1982-1983. He told me about his theatre, and urged me to go and enjoy his town, and stay at the house, if needed. 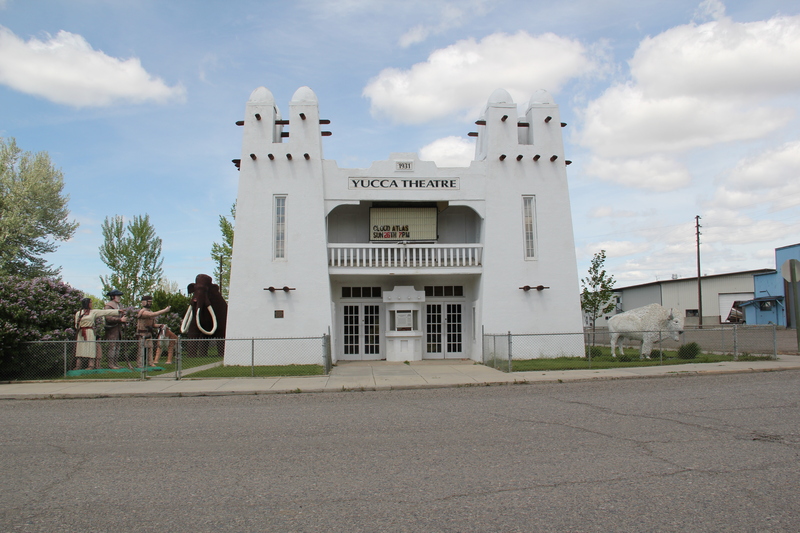 The Yucca Theatre was the first building listed in the National Register in Treasure County and it serves once again as a theatre but also a historic site. 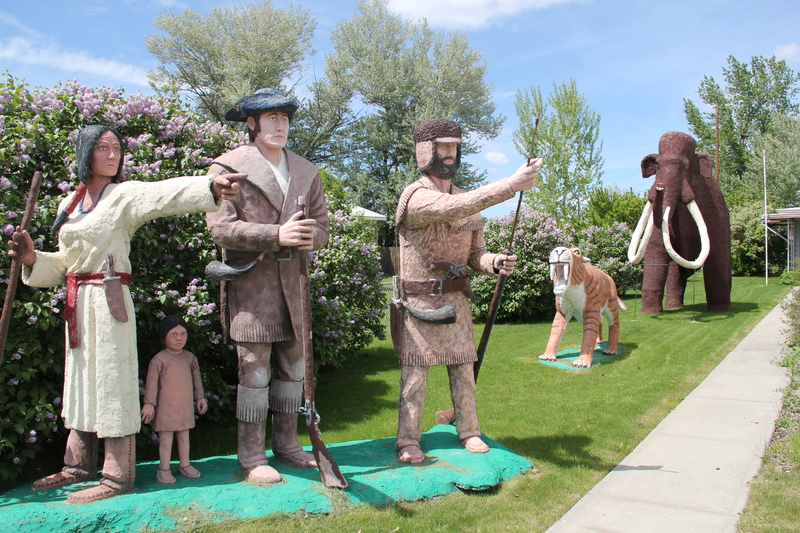 Local sculptor Bob Schulze has added statues of Lewis and Clark, along with Sacajawea and Pomp, and a saber-tooth tiger, wooly mammoth and a white buffalo to boot. Across the street, in an old storefront, is the county museum, another addition to Hysham’s heritage tourism offerings since my 1984 visit. 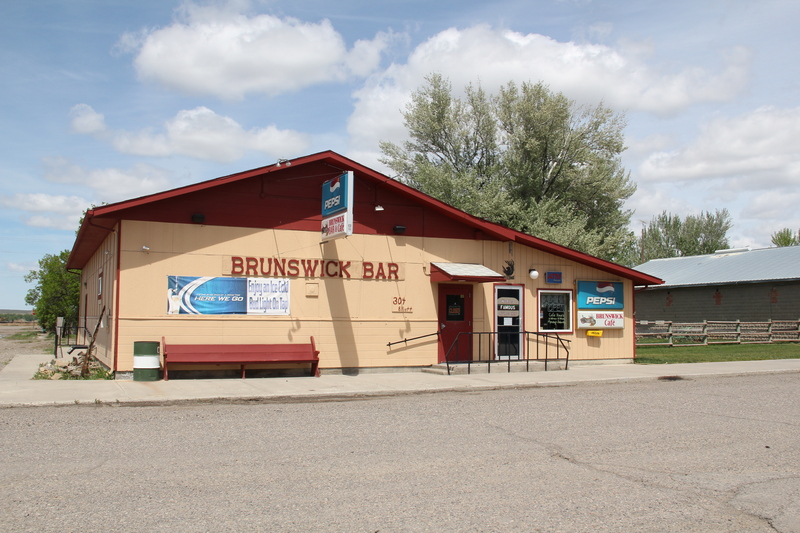 Rep. Manning also recommended a stop at the Brunswick Bar, and I am glad he did–this is a great place with great Montana bar food. The bar has been in business since the 1950s, at least, and the building stands at the location of the original county courthouse. And speaking of the courthouse, it is a sparkling “contemporary style” building of the 1950s, an important contribution to Montana modernism. Many have commented on unique treatment of the exterior, with a map of the county serving as the primary design motif. The building, as you might expect, has changed little since its opening in 1955. 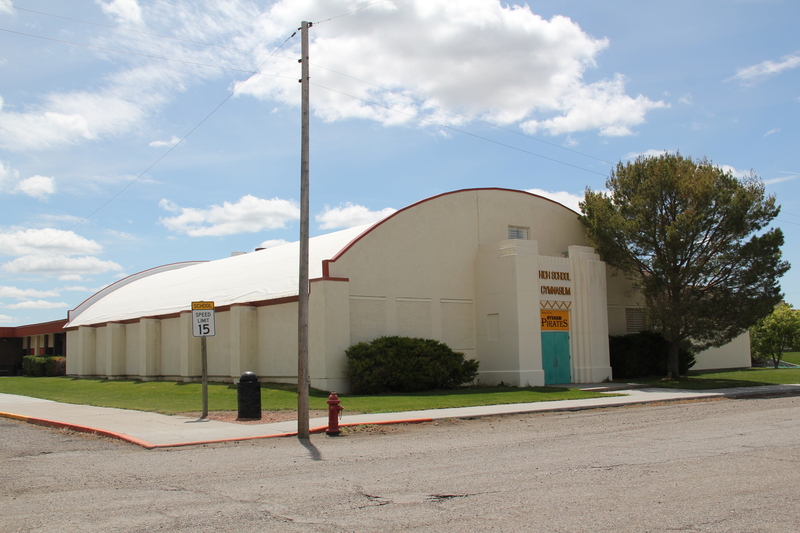 But there’s another Hysham contribution to Montana modernism: the Treasure County High School Gym–an Art Moderne styled building from the New Deal era right on old U.S. 10 as it passed through town. New Dealers believed that children needed recreation, and built hundreds of gyms and sports field across the state. 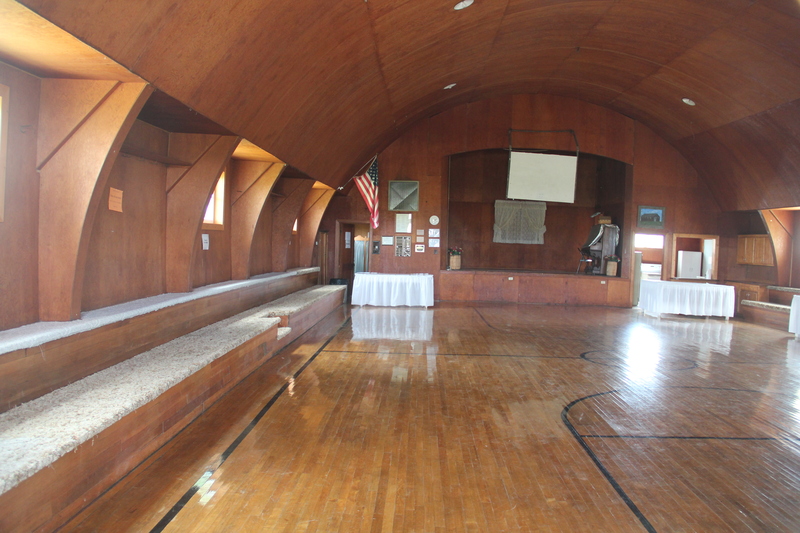 They also believed that devastated, declining rural communities needed spaces–like this community hall–where they could gather for local sports, social events, funerals, and elections. But the Rustic style in this part of the Yellowstone Valley–not really fitting, the style would have made much more sense in the mountainous western half of Montana. At Sanders, the public school has been gone for decades. 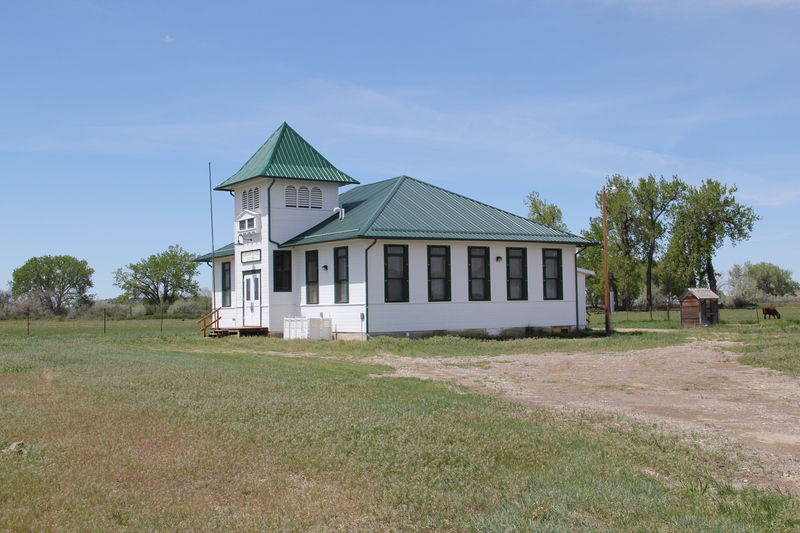 But in the northern part of Treasure County, far, really from everywhere is the Rancher School, perhaps the oldest pubic building in the county since its 1910 construction date means that the school predates the actual creation of Treasure County. 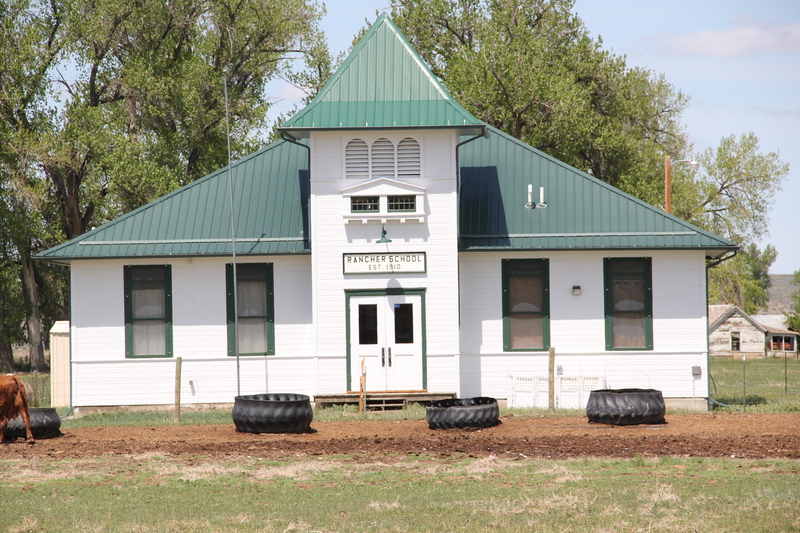 Here is a classic early 20th century school–protected still by barb wire and used periodically for community events. 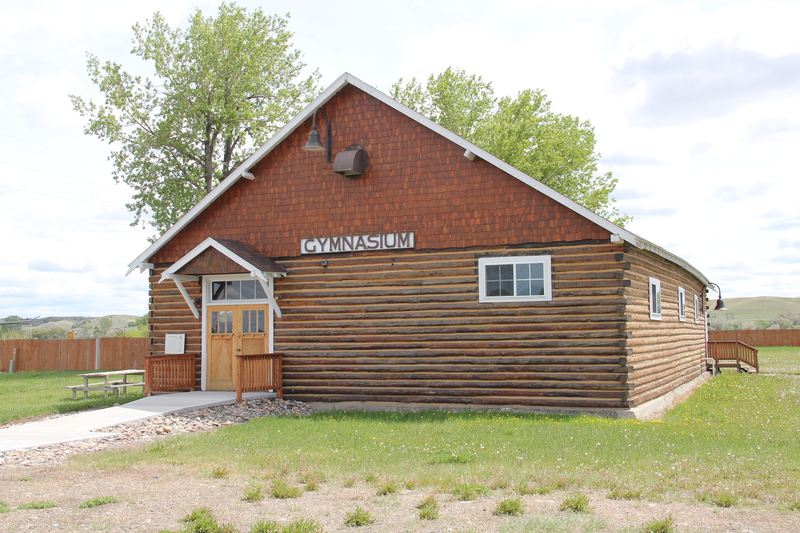 When the National Trust of Historic Preservation placed Montana’s rural schools on its endangered list, everyone had buildings just like the Rancher School in mind. 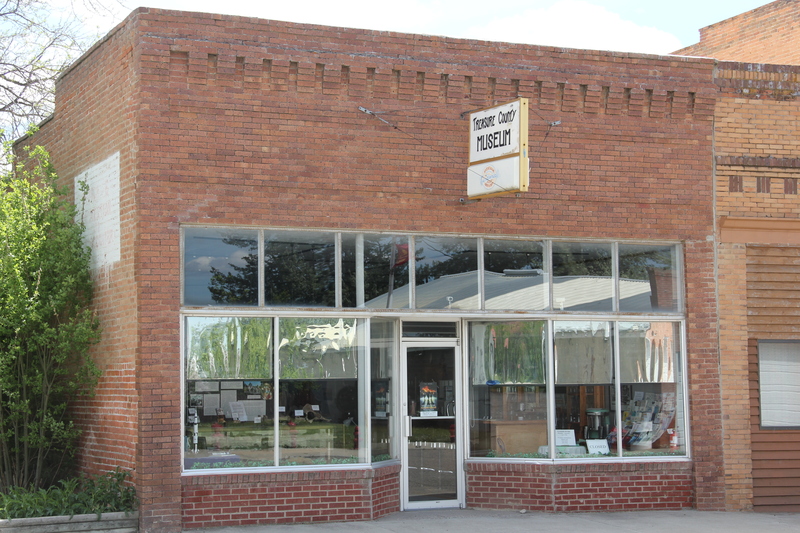 Kudos to everyone who has contributed to keeping this building standing as a symbol of communities long gone but not forgotten, not as long as rural landmarks like all of the historic buildings in Treasure County continue to serve owners and residents. This entry was posted in Montana historical landscape and tagged Art Deco, Bob Schulze, Hysham Montana, J. G. Link, Montana bars, Montana modernism, Montana museums, Montana roadside, Montana schools, Montana theaters, Montana WPA, New Deal in Montana, Rancher School, Rep. David Manning, Sanders Gynasium, Treasure County Courthouse, Treasure County Montana, Treasure County Museum, U.S. Highway 10, yucca Theatre by carrollvanwest. Bookmark the permalink.